Welcome to Milton Toyota, your certified Toyota dealership in the Greater Toronto Area. 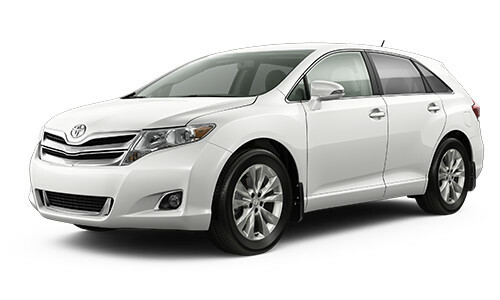 We are presenting the new 2016 Toyota Venza. You can find all the relevant information below. Enjoy! The 2016 Venza crossover gives you plenty of choice, like front wheel drive (FWD) or all-wheel drive (AWD) and 4-cylinder or V6 models. 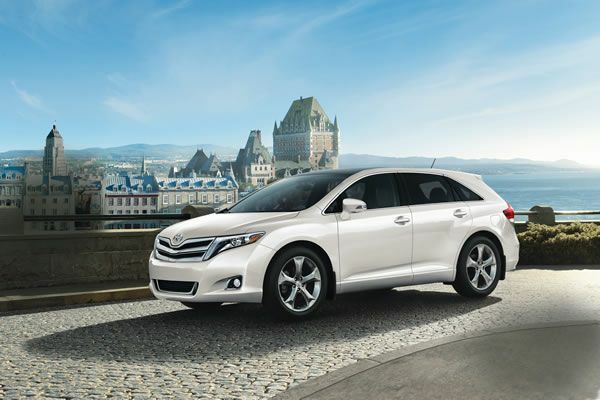 With rich exterior colours, like Blizzard Pearl, and the new Redwood Edition, there’s a versatile Venza for everyone. Venza’s exterior is a clever convergence of artful design and intelligent engineering – brimming with advanced features and functionality. The Venza is a multi-faceted midsize vehicle with the space to transport, the room to road-trip and the looks to turn your neighbours green with envy. Venza's heated exterior mirrors feature integrated turn signals, blindspot mirrors, and puddle lamps. The Limited Package adds the advanced convenience of power folding mirrors with memory and reverse tilt. On models equipped with Smart Key (Limited Package), the touch sensor that unlocks the door is a small ridge on top of the handle, simplifying operation and maintaining Venza’s elegant form. Designed to help prevent collisions and increase road safety, available automatic high beams use a windshield-mounted camera to detect oncoming traffic at night. When a vehicle is approaching, the AHB will automatically switch to low beams. Once you have passed the vehicle, the Automatic High Beams will switch back on. For easier loading and unloading, the rear door opens high and wide. 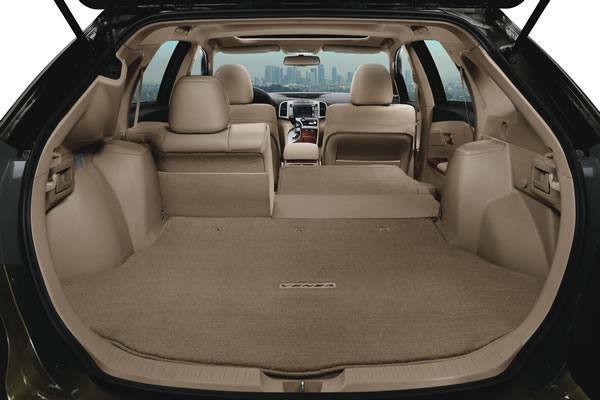 Every Venza features a power assisted trunk closer that locks the door securely even when not firmly pushed down. To make opening the trunk even easier, the Venza XLE and Limited include a power rear door with jam protection, allowing you to open and close it with the press of a button - a handy feature when your hands are full. 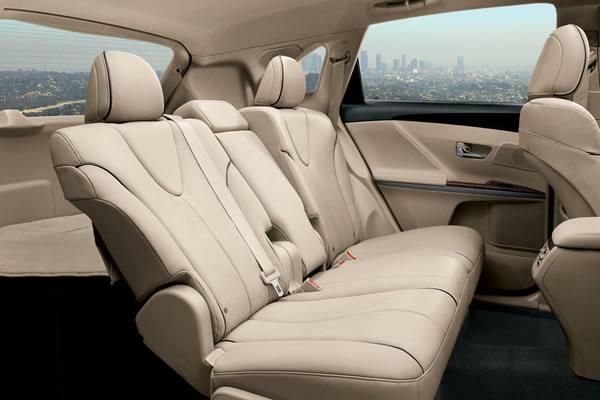 Venza’s interior is spacious, with refined touches, like simulated woodgrain trim, and innovative, like an 8-way power adjustable driver seat with memory and available 4-way power adjustable seat for the front passenger (Limited Package). There’s also the one-touch fold down, which folds the rear seats into a 60:40 configuration conveniently activated with one tug of the lever. New for 2016, Toyota delivers the Venza Redwood Edition, featuring rich brown leather seat surfaces with perforated heated front seats and unique special edition badging. 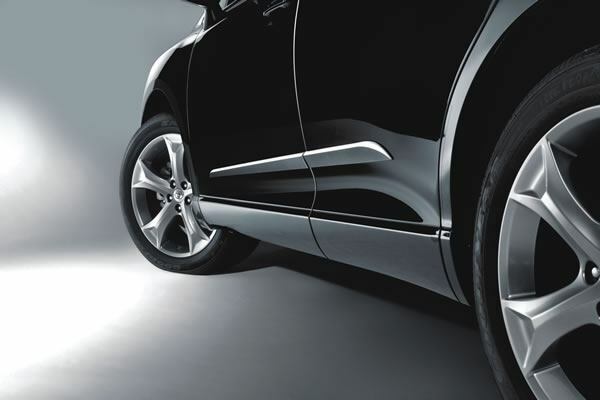 Available on XLE models in Blizzard Pearl, Magnetic Grey Metallic, and Midnight Black Metallic exterior colours. The 2016 Venza keeps you informed of the most important driving elements with the TFT (Thin Film Transistor) multi-information display. A panoramic glass roof tilts, slides, and retracts with the touch of a button. 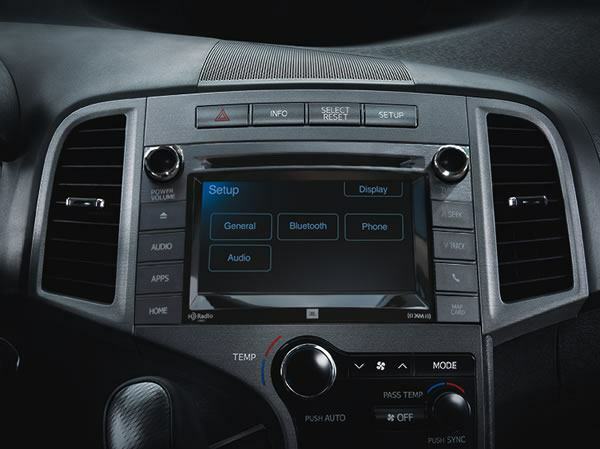 At your fingertips the display audio system boasts a 6.1” touchscreen display, Bluetooth capability and 13 speakers to satisfy your inner audiophile. The Panoramic Glass Roof features Power Tilt & Slide Front Glass with independently controlled front and rear Sunshades (all Option Packages). Venza’s HVAC system warms or cools the cabin quickly and quietly, and includes a high-efficiency particulate and pollen filter for greater comfort. The front console of Venza includes a series of small storage spaces, illuminated cupholders and a docking bay that features a hidden wire routing system for your portable devices. 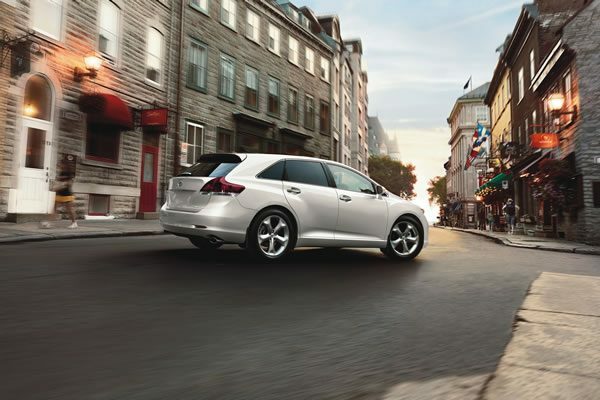 Incredibly fuel-efficient, the Venza offers a choice of two advanced engines. Venza’s 2.7 litre 4-cylinder engine generates an impressive 182 horsepower and 182 lb. ft. of torque, with a towing capacity of 1,134 kg (2,500 lb). The 3.5 litre V6 generates 268 horsepower and 246 lb. ft. of torque – more than enough to tow 1,587 kg (3,500 lb). Dual Variable Valve Timing with intelligence controls both intake and exhaust to achieve more power using less fuel and producing fewer emissions. A 6-speed super-intelligent Electronically Controlled Transmission provides smooth gear shifting, better performance, and contributes to Venza’s remarkable fuel efficiency. 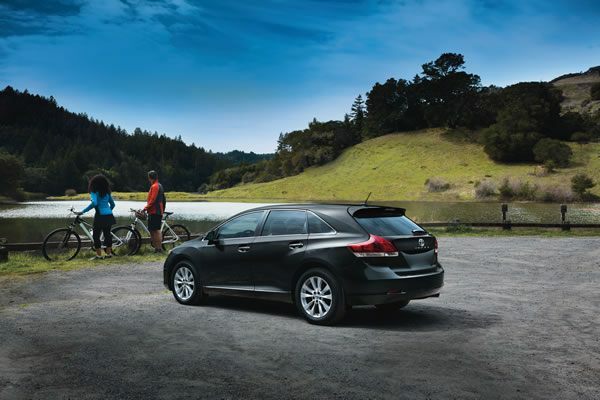 When starting the Venza on an incline, Hill-start Assist Control automatically provides temporary pressure to the brakes to help prevent the vehicle from rolling back. 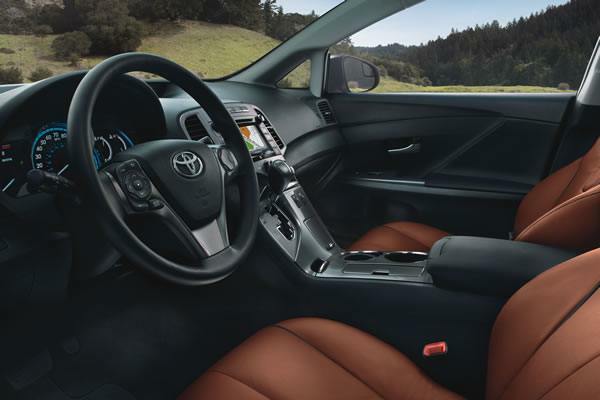 All Wheel Drive models feature an Active Torque Control System that enables the Venza to switch seamlessly and automatically from front wheel drive to 4-wheel drive depending on driving conditions—enhancing stability and improving fuel economy. Beneath Venza’s exterior is a series of strategic reinforcements to the frame to more effectively channel impact energy around and away from the cabin. Standard on the 2016 Venza is the Star Safety System, which includes six state-of-the-art accident avoidance technologies: Anti-lock Brake System (ABS) with Brake Assist (BA), Electronic Brake Force Distribution (EBD), Vehicle Stability Control (VSC), Traction Control (TRAC), and Smart Stop Technology (SST). In the event of a rear-end collision, driver and front passenger headrests automatically move up and forward to reduce whiplash effects. Venza features a standard tire pressure monitoring system. Properly inflated tires can improve fuel efficiency, safety and drivability. Standard safety equipment includes 7 airbags, to help protect occupants from virtually any angle. As part of Toyota's Star Safety System™, Venza features standard Vehicle Stability Control (VSC) which helps maintain vehicle tracking during hard cornering. 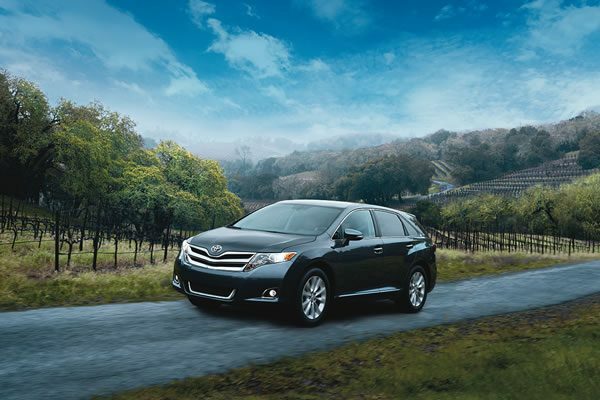 The Venza also boasts standard Traction Control (TRAC) as part of Toyota's Star Safety System™. TRAC automatically restrains wheel slip during hard acceleration or on slippery surfaces to help maintain firm road grip and enhance driver control. Venza’s system includes a TRAC OFF button that shuts off either the traction control system, or VSC and traction control, for situations when full engine power is required at the drive-wheels. The Venza features large, ventilated front disc brakes – with a dual-piston caliper – and solid discs in the rear for excellent braking performance, backed up by Toyota's Star Safety System™ that includes standard Anti-Lock Brake System, Brake Assist, and Electronic Brakeforce Distribution for confident, controlled stopping.